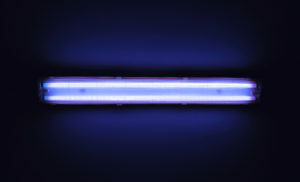 Ultraviolet (UV) lights have been utilized in commercial settings to reduce airborne contaminants and sanitize equipment for decades. You can now incorporate the proven technology into your HVAC system to boost your indoor air quality. Let's take a look at the different ways that UV lights can help you and your family breathe healthier air in your home. Your air conditioning system has outdoor and indoor coils. During the cooling season, moisture condenses on the indoor coil, creating an ideal environment for the growth of bacteria and mold. If these microbes grow on the coil, the passing air can spread them throughout your home. Coil UV lights are installed in such a way that their light shines directly on the coil's surface continuously. They kill the contaminants that are already inside your HVAC system and prevent further microbial growth. If any family member has asthma or severe allergies, you can invest in air sanitizing lights to provide additional air purification. These lights are installed in the ducts that bring return air to your HVAC system. They kill mold and airborne germs. Some lights can even switch on and off in coordination with your system's blower motor. Installing UV lights in your HVAC system is a simple and effective way to improve your home's air quality. However, incorrect installation could cause substandard performance, so make sure you only work with an experienced HVAC contractor. For more information on UV lights, please contact the professionals at Hartman Brothers Heating & Air Conditioning. We've been helping Fort Wayne homeowners optimize the indoor air quality in their homes since 1963.